If you need a new gutter system, a replacement from 31-W Insulation is the perfect solution for your Franklin, Indiana, home. Since 1972, homeowners have relied on us for home improvement installations of all kinds, and as a family-owned and -operated company, we understand our customers’ needs as families. We never hire subcontractors, instead relying on our own highly trained and trusted employees to ensure each project is performed to our standards of excellence in workmanship and customer service. In fact, our dedication to total customer satisfaction is part of why we hold an A+ rating with the Better Business Bureau. Plus, every replacement gutter system we install comes backed by a 20-year warranty from the manufacturer. That way, you can rest easy knowing that your purchase is completely protected. 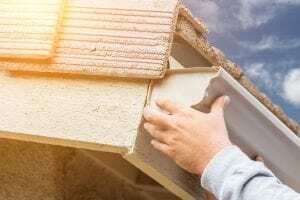 For additional information about the gutter replacement services that we offer for residents of Franklin, IN, contact 31-W Insulation today.